By measuring the indicators for city services and quality of life, city of Koprivnica received the ISO certificate 37120: Sustainable development of Communities – indicators for city services and quality of life. 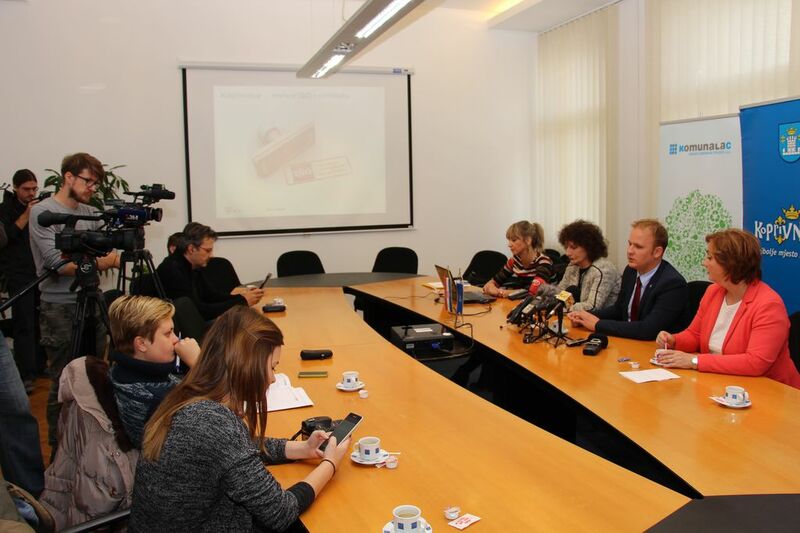 City of Koprivnica became the first city in the region and the seventh city in Europe with such ISO certification. Project certification for obtaining the certificate, carried out the World Council on City Data (WCCD). From a total of 100 indicators in 17 areas relevant to cities, which are measured and analyzed in the process of certification, Koprivnica has proved correct measurement of 46 basic and 48 additional indicators, which won the highest levels of certification – Platinum. The results were published in the pages WCCD and allow comparison with other certified cities regardless of the size of the city and the area in which they are located – due to the methodology applied in certification. Smart City technologies and the direction of this work, are increasingly coming to the fore, not only in Europe but also in Croatia. What makes me happy is that city of Koprivnica in that area, becomes a leader in Croatia. When we look at results, Koprivnica leads and I think we have the right to get this certificate first in Croatia and seventh in Europe – said Mišel Jakšić, deputy mayor of Koprivnica. Cities who obtained ISO 37120 certification, the results can use for assessment of city services and quality of life in the city, for the prioritization of the city budget, to improve operational transparency to the citizens, to support ICT Smart City solutions and the harmonization of public and private investment in infrastructure. This was an opportunity to compare with other cities, follow a certain methodology and prescribed conditions. It is about data collected from various institutions. Any information that is prescribed to collect, is expressed per population – explained Maja Hleb, CEO of Komunalac LLC. City of Koprivnica, in cooperation with the utility company, Croatian Telecom Inc. and other partners, certainly develops in the direction of smart city, which rationally manage its resources and brings better quality service to the citizens. This confirms the ISO certification, whose results are used for better management of the community, in the direction of smart solutions and sustainable development.